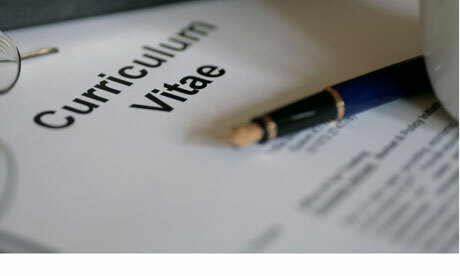 CV stands for Curriculum Vitae. It is a written overview of a person's educational qualifications and other experiences. It is an complete profile of a candidate including his full name, phone number, address, email id, educational qualifications, hobbies, achievements, soft skills, languages known, computer skills, career objective, marital status etc. An ideal CV must not contain more than 2 or 3 A4 size pages. There is no need to provide you photo, salary history, references and the reason for leaving previous job in the CV. These details should be provided separately to employer upon request. In most of the commonwealth countries, Ireland and United Kingdom, CV does not contain more than 2 pages. It only includes the summary of job seeker employment history, educational information and some personal information. Some part of Asia requires photo of the applicant, date of birth and most recent salary information. Match your CV or Resume to the position: Highlight your education, work experience and skills related to the job you are applying for. Keywords: Include the keywords from the job description in your CV or Resume to reflect that you are a suitable candidate for the job. Template: Use a suitable template to structure your CV or Resume. It helps employer quickly notice or see your experience and qualification. Proofread: Thoroughly check your CV or Resume to ensure there are no spelling or grammatical mistakes. Although CV and resume both are used for same purpose but, there is a little difference between them. Layout It contains your educational and academic information as well as teaching and research experiences, awards, honors etc. The cv is static and doesn't change for different positions. It is a concise synopsis of most relevant professional experiences about the particular job for which you are applying. The resume can be changed according to the job situation. no particular format rule, its information only snuffles around best suit of applicant. Purpose It is generally used for academic positions like faculty opening, internship, fellowship etc. It is generally used for business industry, governmental and non-profit jobs.